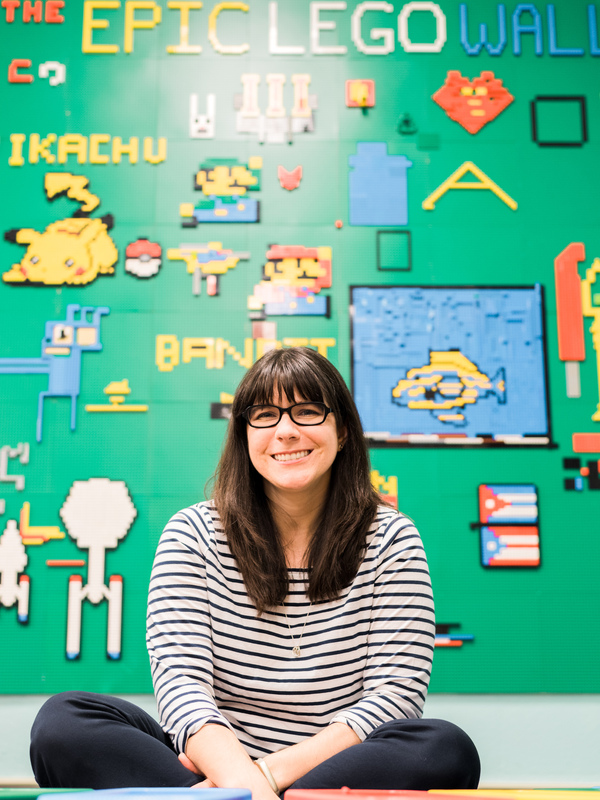 In an article I wrote for Florida Media Quarterly, I describe ways that I’ve built curriculum connections into my makerspace. I get this question often, so I wanted to describe a few of the things I’ve done at Stewart. This is by no means an exhaustive list. Nor am I saying that these are the only ways to create curriculum connections. Rather, my hope is to give you ideas as you get a glimpse into how one school has done things. Check out pages 15-18 here to read my article in the Florida Media Quarterly. Makerspaces are learning environments where students can explore topics of their interest through tinkering and creating using a variety of tools and materials. This looks different from one school to the next and can be anything from a permanent physical space with the latest technology to a repurposed bookcart with art supplies. 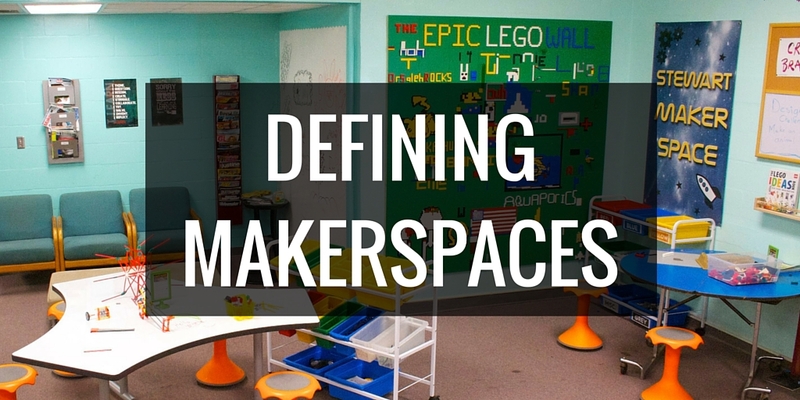 A vital element of creating a Makerspace in your school is to build a culture of making among your teachers and students. 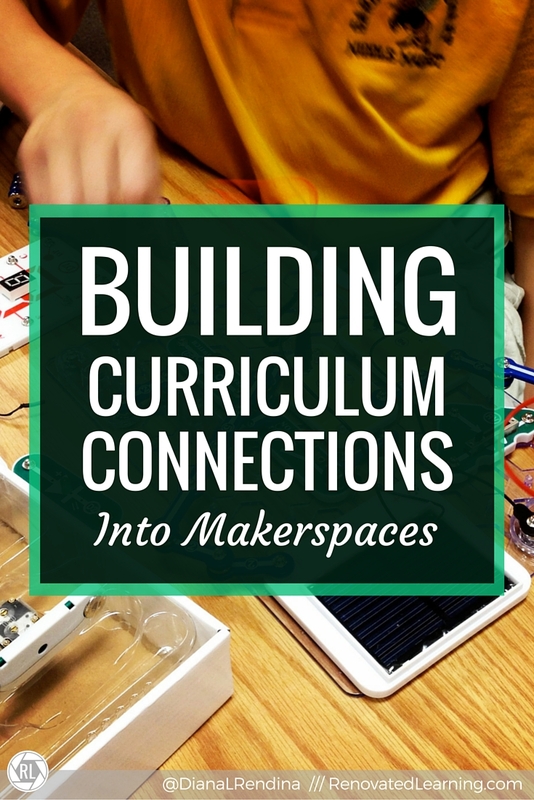 One way to do this is through combining curriculum connections and Maker projects. A great deal of my Makerspace programs are passive programs. Much like elementary school centers, I leave out materials, some brief instructions or guidelines on what to do, and supervise only as needed. Such stations can easily incorporate activities tied into the curriculum. For example, if you know that your science classes are currently studying the history of space travel, you could have a station with a challenge to design your own rocket. The station could include some visual examples of real rockets and some information about them to spur student learning. A variety of materials could work in such a space – you could have cardboard construction, LEGOs, or even rocket coloring sheets for the younger ones. Students could create exit slips describing their project and explaining how it would work. Giving students the opportunity to explore topics from their classes informally is a great way to promote inquiry and curiosity. When collaborating with teachers, it’s best to start with those that you already work well with. As other teachers see your successes bring maker activities into lessons, you’ll find more opportunities to collaborate. Meet with the teacher and talk about what types of material they’re covering in upcoming units. A Maker project might fit in excellently as a larger, long term project that students will work on for an extended period – think science fair projects and book dioramas. Or it could be an activity that is completed during one class period, such as teaching students how to weave on cardboard looms during a lesson on Native American culture. Make sure that the activity isn’t too regimented – thirty students building thirty identical birdhouses isn’t promoting creativity. Structure is okay, but you want to leave enough wiggle-room for students to be able to express their voice through their projects. Ideally, you could have an open-ended goal for students with a variety of materials available, such as building a trebuchet out of LEGOS, K’nex or recycled materials to connect with a lesson on medieval warfare. The more flexibility you give students, the more innovation you will see. There are multiple ways to assess what your students are learning. I love to have students tell me the story behind what they are building – often you will find that they have a strong rationale for their designs. Students could create digital media like videos, slideshows or digital portfolios about their projects. You can also tie in writing skills and research by having students cite examples from a text they have studied as the basis for their creations. I did this in a lesson on coral reef restoration where students read several articles on artificial coral reefs, and then built their own models out of LEGOs. They had to cite information from the articles to explain their designs, such as discussing how a certain design would help corals to attach and propagate. It can be easy to get overwhelmed trying to find a curriculum connection for every activity you want to bring into your library. Remember: play is learning too. It’s okay for the kids to have some fun in the library. Tie activities into the curriculum when it fits naturally, but don’t try to force it. Offer your students a variety of opportunities to tinker and explore, and you will see student engagement shine.